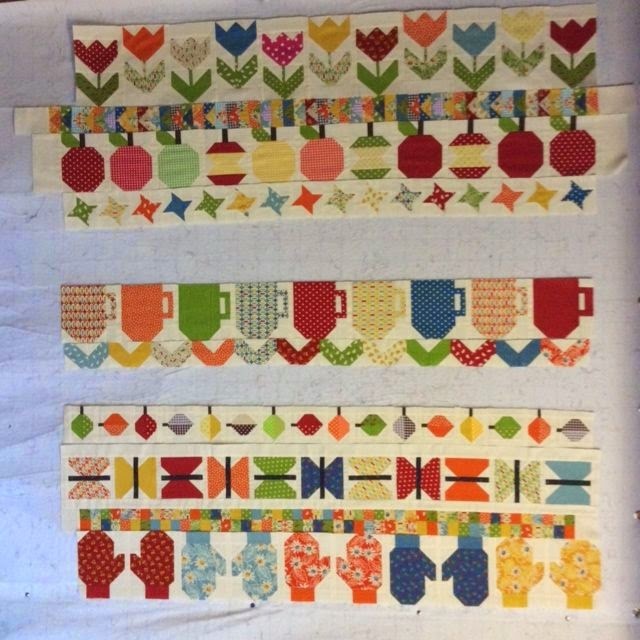 The end of the year is nearly upon us, and the completion of 2014 Block Parties at Ruth's Stitchery looms large. 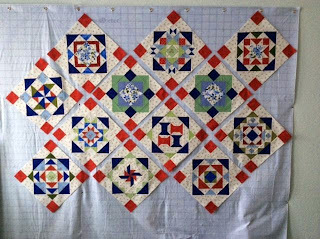 I've completed two block party quilts (Sample This, both will be shown on TGIF Friday). I'm making progress on two more. 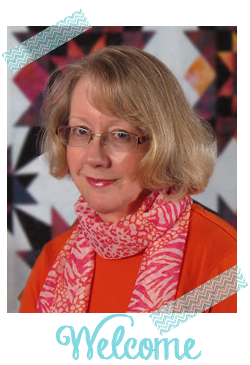 First, "Five is Fabulous" from Marti Michell. The two blocks with green checks are my setting blocks. 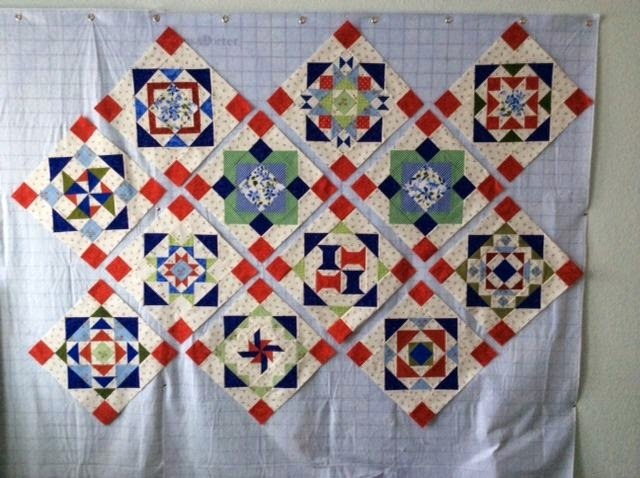 I only have two more sampler blocks and four setting blocks to go! 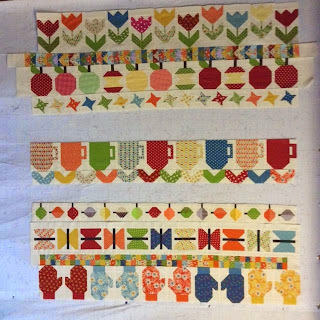 My other "near finish" is "Quilty Fun" from Lori Holt. This row-by-row quilt is fun, but some of those blocks have a lot of pieces! I still have two rows: the row of houses and the row of baskets. Plus 42 border blocks! Hello Marti! 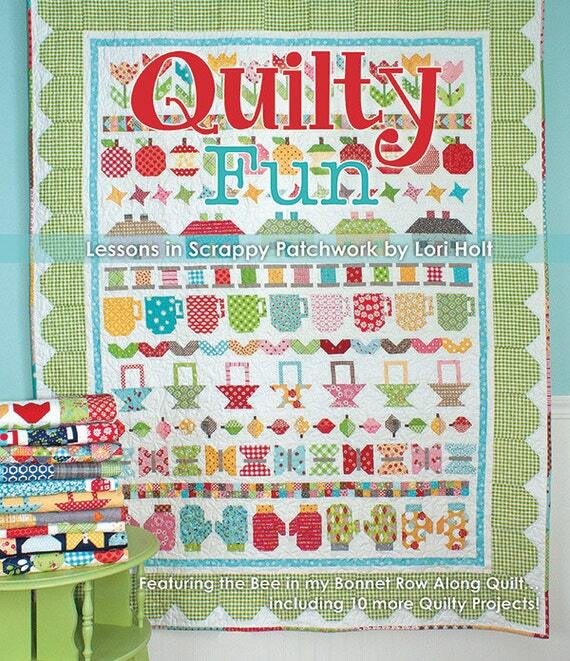 Love the Quilty Fun row quilt. I've seen that pattern before. It's adorable. I like the colors you are using. My WIP's are going pretty well! I've finally started quilting Trent's 100 Blocks quilt - yeah! Have a super day! Oh no! I just counted the blank spaces, and two rows go in one of those spaces. I hope I would have noticed that when I put the quilt together! Finished my mariner's compass quilt just in time for my brother's 60th birthday on Saturday. Love the way it turned out but glad its done!